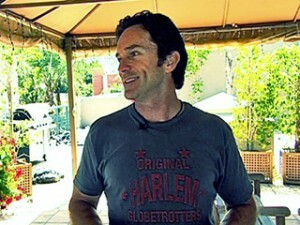 Welcome to daytime, Mr. Probst. Anderson renewed for a second season; Bill Cunningham is putting up solid numbers for WGN – but not in his home market of Cincinnati. It seems like syndicators are ready to party like its 1995 again, when a slew of Ricki Lake– talk show knockoffs flooded the market. Well, here we go again as already four talk shows have been green lightened for 2012. Ironically, one of the names in the 2012 Great Talk Show Rush happens to be Ricki Lake. On Thursday, CBS Television Distribution inked a two-year deal with eight NBC-owned stations (yes, you read that correctly) to clear Jeff Probst’s new talk show in 55 percent of the country, including WNBC in New York and KNBC in Los Angeles – but not WMAQ here in Chicago (the other NBC O&O holdout is WRC in Washington, who also declined to pick up the show.) Probst is being sold on a cash-plus-barter basis, with four minutes held back to sell national ad time; the rest of the ad inventory goes to local stations. This means the Survivor host’s show would likely end up on WBBM (which it and CTD are both owned by CBS Corp. and has a 2 p.m. slot open – not to mention the show was sold to sister station WCCO in Minneapolis) or Weigel-owned independent WCIU, who already airs Dr. Phil (second-run episodes) and The Doctors, both are CTD properties. On the NBC stations, Probst would likely be paired up with Steve Harvey, whose show WMAQ and WRC did clear. Both shows would likely replace Nate Berkus and courtroom drama We The People on NBC schedules – however, WMAQ could keep the latter show in the 12:30 p.m. time slot next season if it doesn’t expand its noon newscast. Probst is cleared in sixteen of the top twenty markets thanks to deal with CBS, Gannett, Belo, and Post-Newsweek. Meanwhile, Twentieth’s new Ricki Lake show was sold to a few Tribune stations, including WPIX in New York – coming a day after the station dropped Anderson (Fox’s WNYW picked the show up for next season in a multi-market renewal deal including WFLD in Chicago.) However, Twentieth did not identify the other Tribune stations. In Chicago, its unlikely WGN will pick up Lake, but could also wind up on WCIU, or even her old WPWR home. Earlier, Disney-ABC announced Katie Couric’s new talk show cleared 60 percent of the country, including all eight ABC-owned stations. Also waiting in the wings are Bethanny Frankel (Real Housewives) and NBC Universal’s Trisha Goddard, who recently nabbed a Sinclair Broadcasting deal. Meanwhile, an interesting tidbit from the Cincinnati Enquirer’s John Kiesewetter on Friday: WLW-AM host Bill Cunningham, whose Chicago-shot test shows were panned by media critics, is beating Anderson Cooper in the top three markets, including Chicago. In the first two weeks of November sweeps, Cunningham’s 1.3 household rating is trouncing Cooper’s 0.7 rating at 2 p.m. in the Windy City. In adults 25-54, Cunningham held a 133 percent advantage over Anderson. Aside from possibly Nate Berkus, don’t look for too many cancellations this upcoming season as syndicators are likely sticking with low-rated fare in hopes to build an audience down the road since a lot of syndicated programming is cheap to produce and when they hit big – they hit big – just ask Dr. Phil, Ellen, or The Doctors. Stations really have no choice as… let’s face it, what are they going to replace these shows with? More infomercials or local news? But let’s be honest here – none of these names are on par with Oprah Winfrey, Phil Donahue, or even Geraldo Rivera and Sally Jesse Raphael back in the day. Daytime isn’t what it used to be.